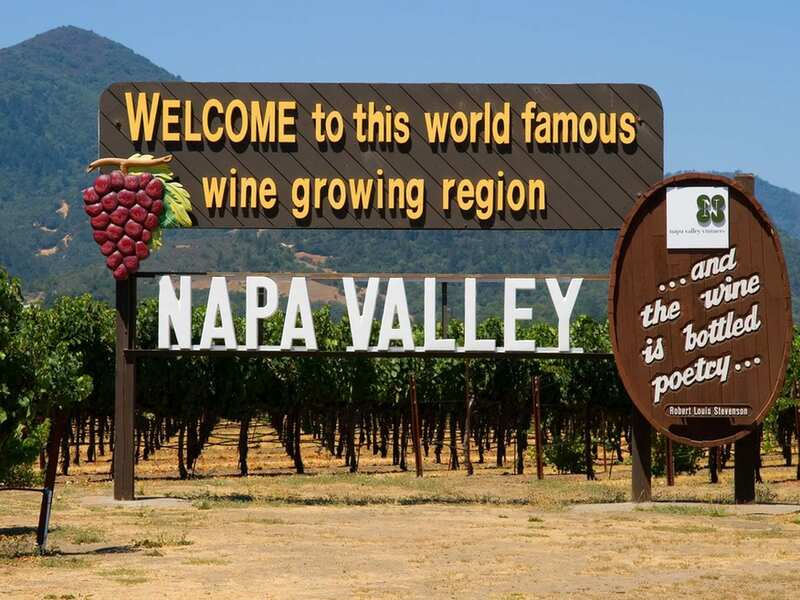 Perhaps diversity is not the first thing that comes to mind when thinking about Napa Valley. Especially for people who live outside of Napa, if asked what wine comes from Napa, they will always say “Cabernet Sauvignon.” But, no matter how good the Cabernet is, Napa offers so much more. According to the Napa Valley Vintners, there are 45,000 acres under cultivation in Napa Valley. There are more than 34 different wine grape varieties grown in Napa County, and 23 percent of the vineyards are planted to white wine grapes and 77 percento red wine grapes. Forty-seven percent of the grapes planted are Cabernet Sauvignon, with Chardonnay, Merlot, Sauvignon Blanc, Pinot Noir and Zinfandel making up another 41 percent of the total grape production. That leaves 12 percent of the grapes planted to other grapes and here are six of the grapes to look out for. In 2016, there were 724 tons of Semillon in the Napa Valley and Fine Disregard produces 218 cases of their Semillon. A personal project by winemaker Mike Schieffer, assistant winemaker at Truly, and Kate Maraden, a viticulturist and plant pathologist, the Semillon comes from a half-acre block planted on the eastern edge of Oak Knoll District in 1994. The resulting wine is clear and bright with notes of lemon curd, citrus zest, tree fruits and minerality and a lovely mouthfeel that is both round and delicate with racy acidity. In 1986, there were 2000 acres of Chenin Blanc planted in the Napa Valley and it was Napa Valley’s third most grown grape. By 2000, it was the ninth most planted grape and 2010, it was the 22nd most planted grape, behind Charbono and Tempranillo. By 2016, there were only 17 acres planted. Only 49 cases of the 2016 Chenin Blanc were produced by Calder Wine Company. The wine is what I described as a “super pretty wine” as it is delicate and understated and definitely food friendly. In 2010, there were 21 tons of Mourvedre produced in Napa Valley but in 2017, only 158 tons was produced. The Scaggs Vineyard was planted by musician Boz Scaggs and his wife in 1998 to Rhone varieties. They transitioned the vineyard over to Newfound, founded by Matt Naumann, Jonathan Sykes & Audra Chapman, in 2016. Winemaker Matt Naumann who has worked at Failla Wines, is a minimalist when it comes to winemaking. The Mourvedre is whole cluster pressed and fermented and aged in amphorae and demi-muid (neutral vessels). The medium-bodied wine has elevated fruit and floral notes and spice with integrated soft tannins and great texture. The “other” Cabernet, Cabernet Franc production has been increasing in the Napa Valley. There were only 162 tons produced in 1990 and 2907 tons in 2017. Gamling & McDuck was started by Gabrielle Shaffer and Adam McClary who first met in Minnesota in 2006. They moved to Napa in 2008 to study winemaking and Gabrielle worked at Miner Family before becoming the Viticulturalist for Stagecoach Vineyard. Adam worked at Mayacamas, Harlan, Bond Estates and Lava Vine before focusing on Gamling & McDuck full time. The Gamling Cabernet Franc comes from the smallest vineyard block (.32 acres) in the Stagecoach Vineyard, one of the most important vineyards in America. Only 48 cases of this wine is produced, using native yeasts and new French oak puncheon. The wine has aromas of black raspberry, cassis and spice and makes the taste buds wake up and scream for food. Merlot got a bum rap after the movie Sideways and in truth, there were lots of bad Merlots out there. But, there are lots of beautiful, silky Merlots as well and production has been increasing in the Napa Valley from 6142 tons in 1990 to 14,085 tons in 2017. The certified organic Ehlers Estate was planted in 1996 and the winemaker is Kevin Morrisey who worked at the famous Merlot-house Chateau Petrus in Bordeaux. The 2015 Ehlers Estate Merlot is powerful and rich with notes of dark red fruit, chocolate cherries and spice. It is a wine with a lot of acidity and structure, showing its aging potential. Napa may always be known for its Cabernet Sauvignon, but Napa Valley offers more than Cabernet Sauvignon. This entry was posted in Wine and tagged cabernet franc, Calder Wine Company, chenin blanc, Ehlers Estate, Fine Disregard, Gamling & McDuck, merlot, Mourvèdre, Mt Veeder, Napa Valley, Napa Valley Register, Newfound Wines, Oak Knoll District, Riesling, Rutherford, Scaggs Vineyard, semillon, Smith Madrone, Spring Mountain, St. Helena, Stagecoach Vineyard, Wine, Wine Writers Educational Tour, WWET by Allison Levine.